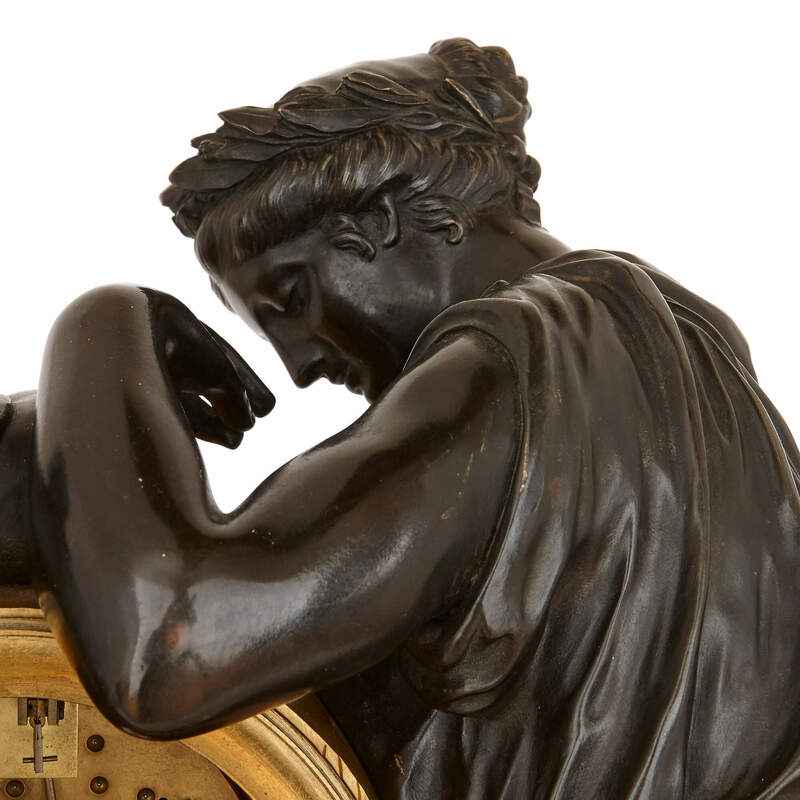 This extremely large mantel clock, exhibiting a fine Neoclassical harmoniousness and elegance, has been designed with a refined interior setting in mind. 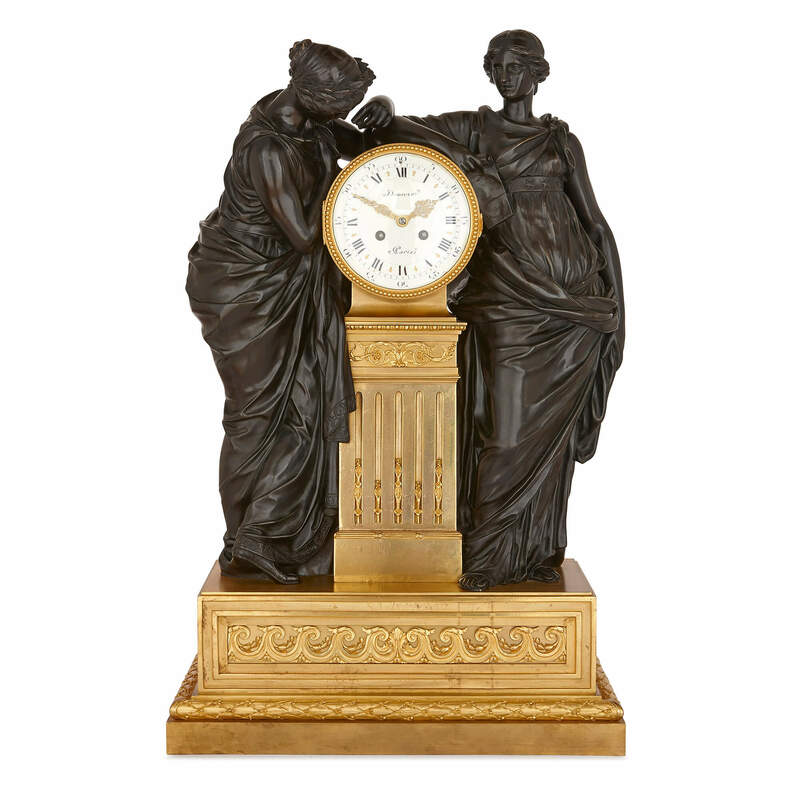 This large mantel clock is an opulent work of bronze-casting as well as clock-making, and is most notable for the finely-sculpted Classical style figures which adorn it. 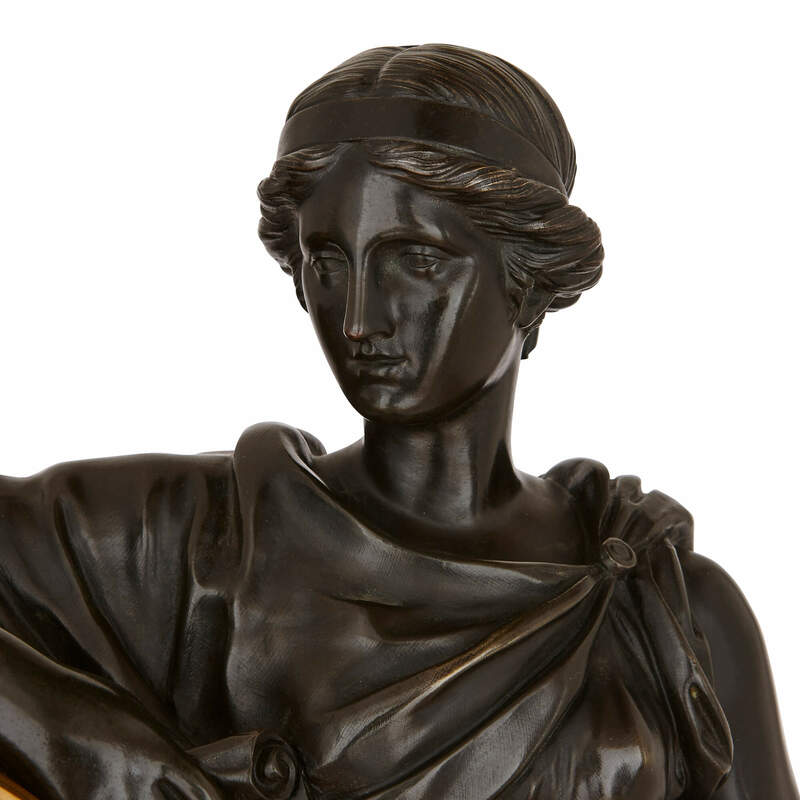 It was produced in the 19th Century by the famed bronze-making firm Deniere et Fils who, in the 1850s, were awarded the prestigious honour of becoming 'Fornisseurs du Roi’ (suppliers to the king) to Emperor Napoleon III. 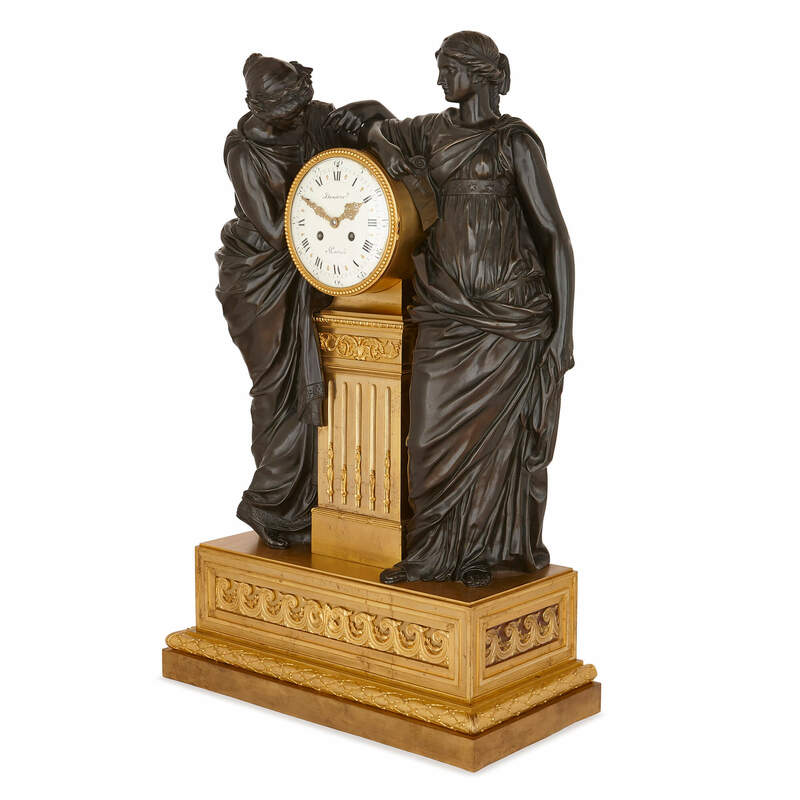 The clock is an excellent example of the 19th Century Neoclassical style. The clock is modelled as a stepped rectangular ormolu plinth with frieze decorations showing wave motifs and laurel garlands, with two patinated bronze female figures standing either side of a circular clock dial on an ormolu pedestal. 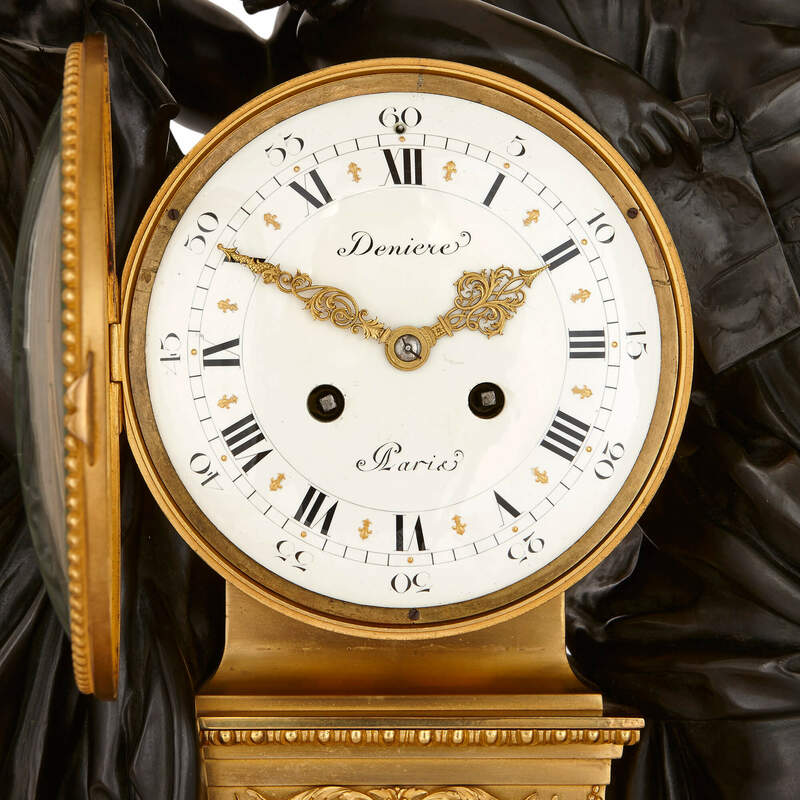 The central enamel clock dial contains Roman numerals, ormolu clock hands and is signed 'Deniere / A Paris'. 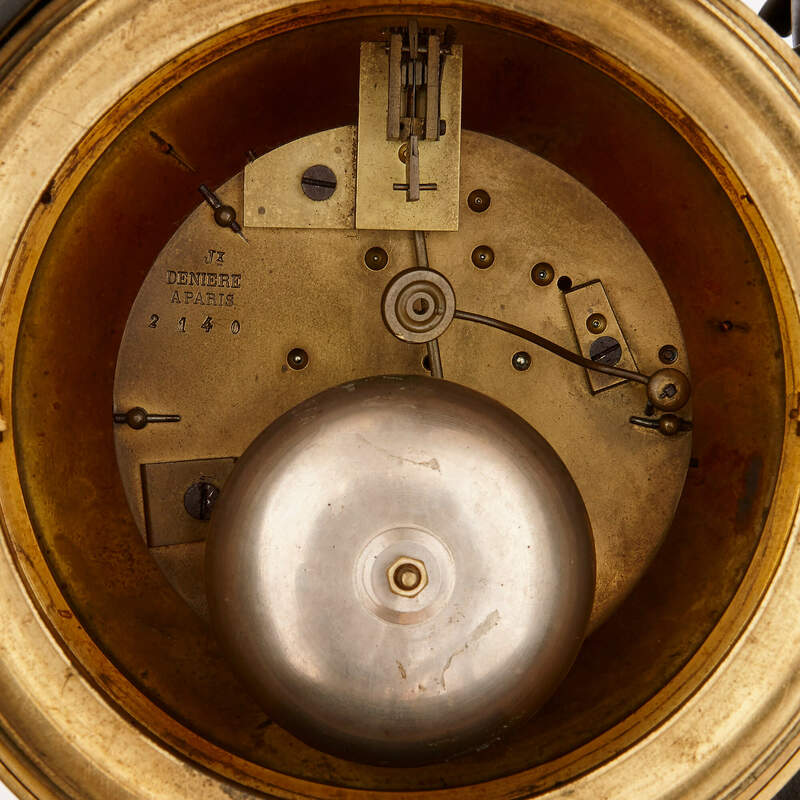 The clock movement also bears a stamp for Deniere.